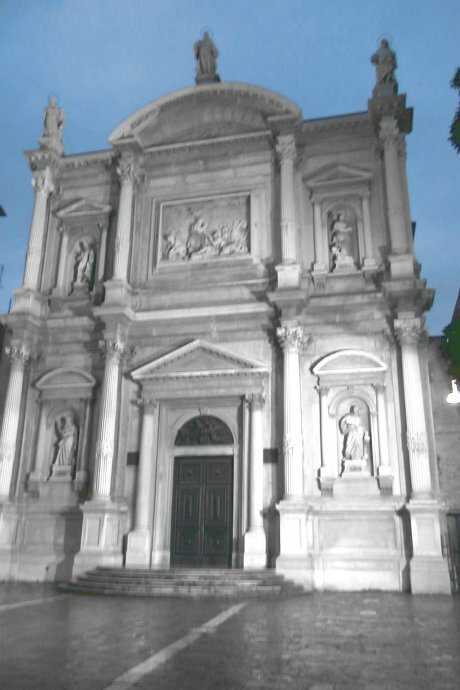 The church was built on a model by the Bergamascan Bon, the first of the Procuratori of St. Mark’s. It was begun in 1489 and consecrated in 1508. Of the original building only the apses and the sculptures remain; the rest was rebuilt by Scalfarotto in the first half of the 18th century, while the facade was erected between 1765 and 1771 to designs by B. Maccaruzzi. 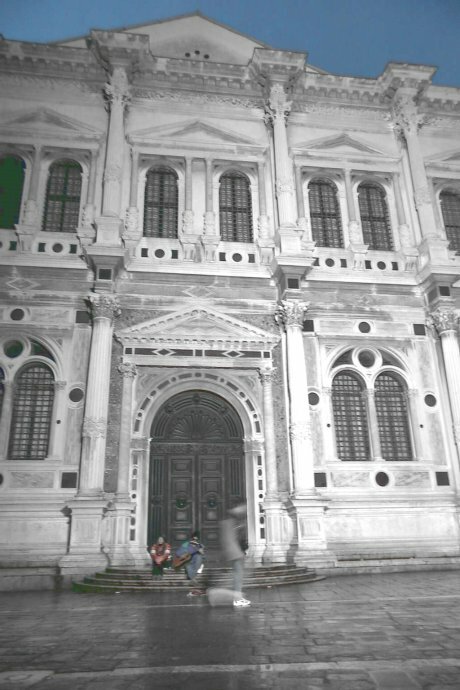 The School was erected by Bon and Scarpagnino starting from 1515. There are a series of canvasses by Tintoretto which remain among the masterpieces of Venetian painting of the period between the Renaissance and mannerism, and also works by Giorgione, Titian and Tiepolo. When the Republic fell the School suffered a huge setback: its inheritance was sequestered, the main part of its holy furnishings was dispersed and there was talk of its suppression. It was saved from oblivion thanks to the charity of the citizens and in 1806 was reopened for religious duties, and returned to its original purpose of giving help to the poor and safeguarding the works of art which had made it famous over the centuries.